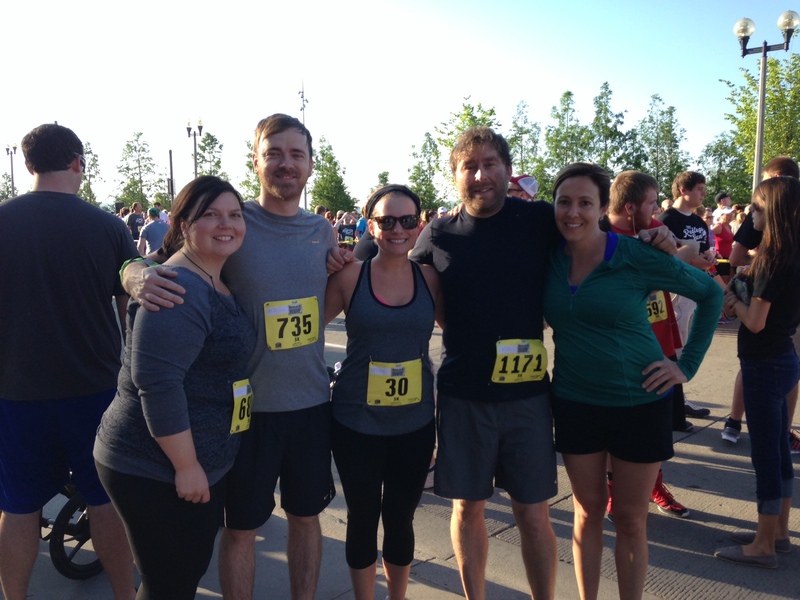 A few weeks ago, I went to Cincinnati with my people to hang out and run a 5k. The run wasn’t so bad, but come Saturday evening I was sick. So sick, in fact, that I could not eat dinner. 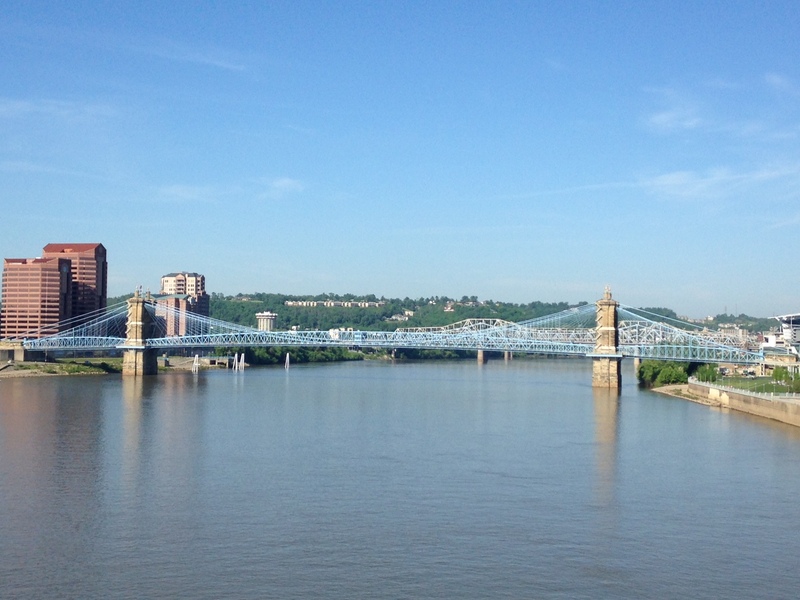 Which was a travesty, really, because I had to watch my friends enjoy massive, juicy burgers and hot dogs at Cincy hotspot Senate while I sipped ginger ale. Yes, major bummer. 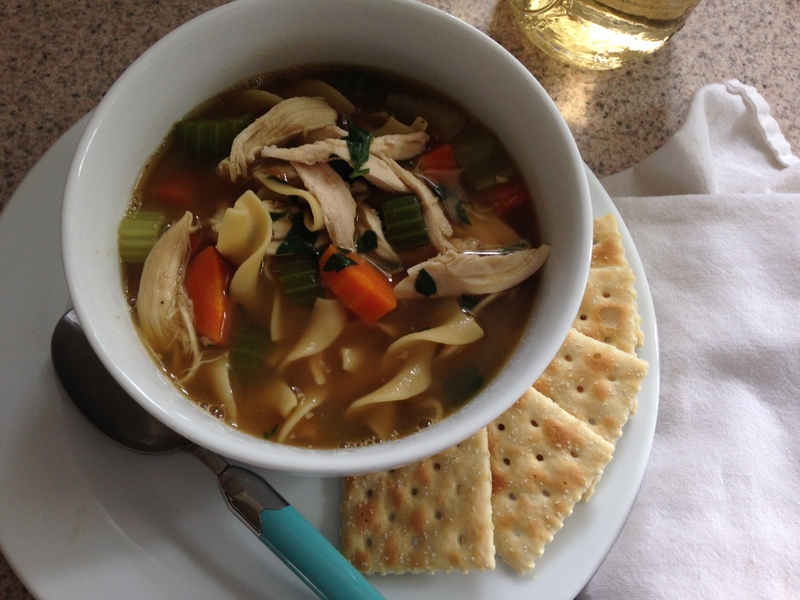 For the next several days, the only thing that sounded edible was homemade chicken noodle soup. So I made some. 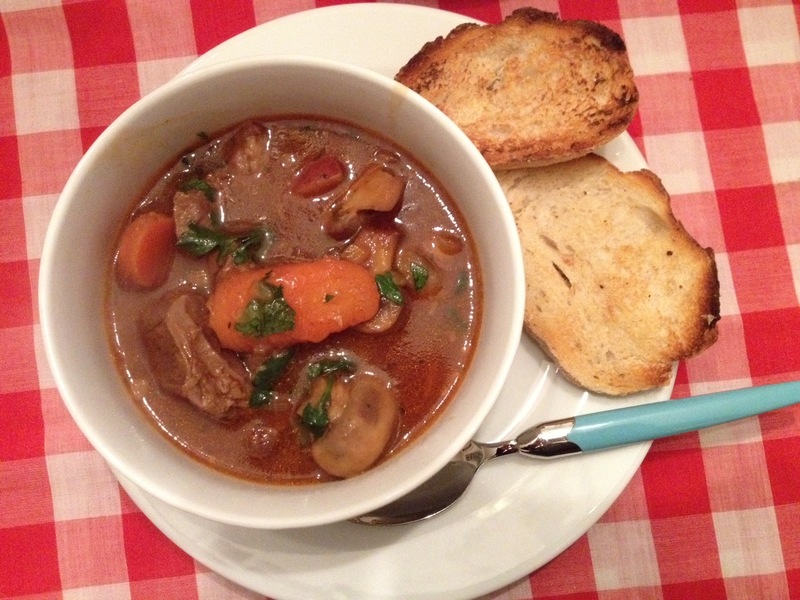 This recipe is easy enough for a sick person to manage on her own. And it is everything you could ever want when you are under the weather. 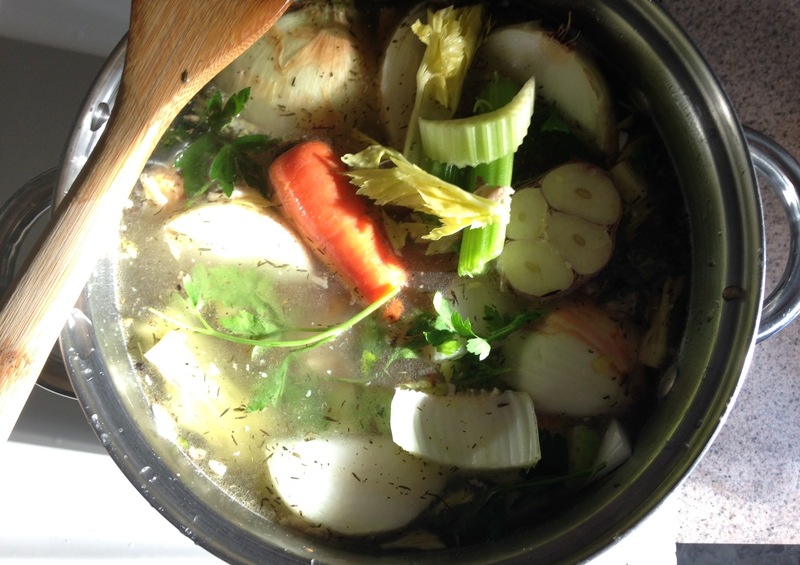 Bring chicken stock to a simmer. Add carrots and celery and return to a simmer. Add egg noodles. Simmer 10 minutes or until noodles are cooked through. Meanwhile, pick all the meat off your rotisserie chicken and chop the parsley. Seal the chicken bones in an air-tight bag, and place in the freezer. Add chicken and parsley to soup and warm through. Serve with Premium saltine crackers and ginger ale on ice. Now, let’s make stock! It’s so easy. I buy a rotisserie chicken about once a week, so I save the bones and make stock one night while I’m vegging out at home. I usually have all the other ingredients on hand, and if I don’t, I just use what I have. No big whoop. Throw everything into a large stockpot. Fill pot with water (4 to 6 quarts). Simmer 4 hours, stirring occasionally. Do not boil. Strain and discard the solids. I used a two-part straining system. First, using a large class measuring cup with a spout, pour the stuff through a colander. Press solids with a wooden spoon, squeezing out all the stock. This gets rid of most of the solids. I then carefully pour that through a fine mesh strainer into quart containers. Think this process through for yourself before you begin. This is nothing sadder than watching the liquid gold you have cooked for four hours spill on the counter. 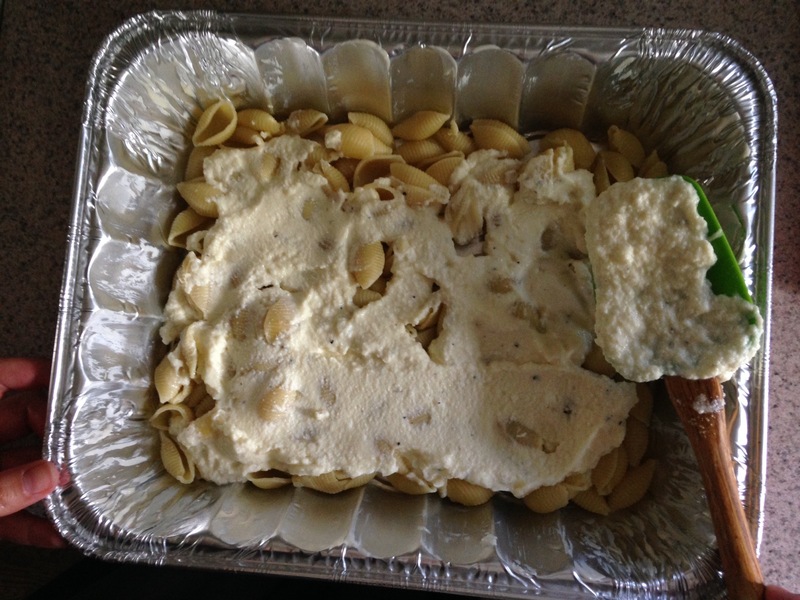 Pour into 1 quart containers and place in the fridge overnight. The next day, skim the layer of fat from the top of each container. Use or freeze right away. 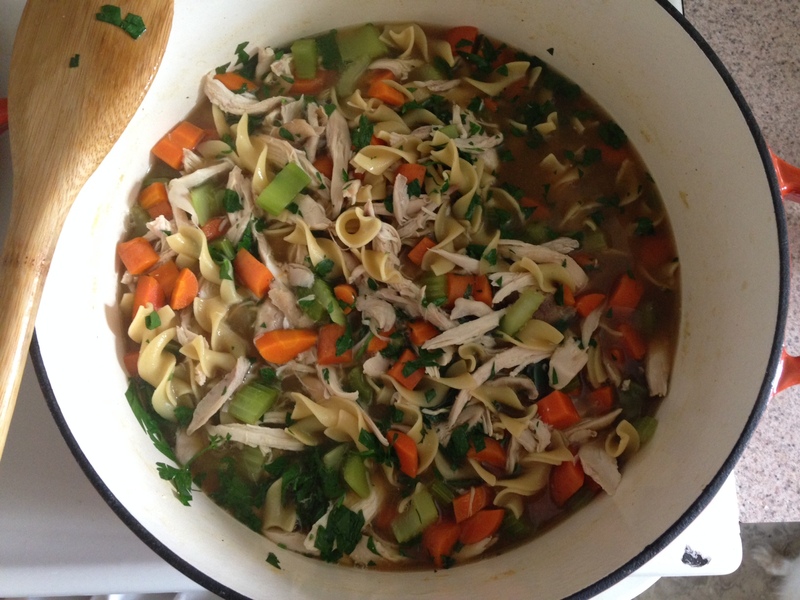 Categories: Recipes, Uncategorized | Tags: chicken noodle soup, chicken stock, cincinnati, homemade | Permalink. I don’t know what was in the water 9 months ago, but several of my people are popping out babies. My friends Bridget & Zac had a beautiful baby girl, Ruby, on the first day of spring. A few weeks later came Beatrice to another set of friends. Ruby & Beatrice’s arrivals were two great reasons to make one of my very favorite pasta recipes. 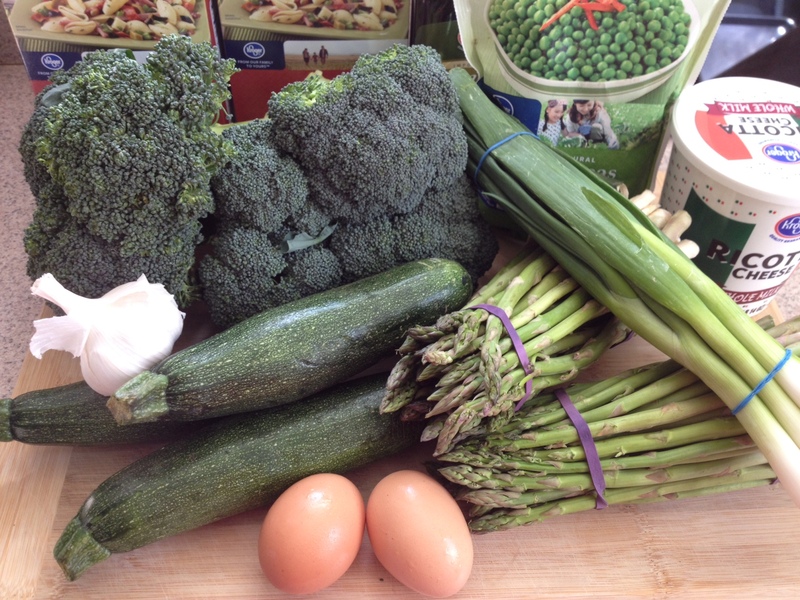 These new parents needed to eat, and springtime is the right time for this dish full of green veggies. It’s comfort food that you can justify. Preheat oven to 350 degrees. Butter a 9x13x2-inch baking dish. 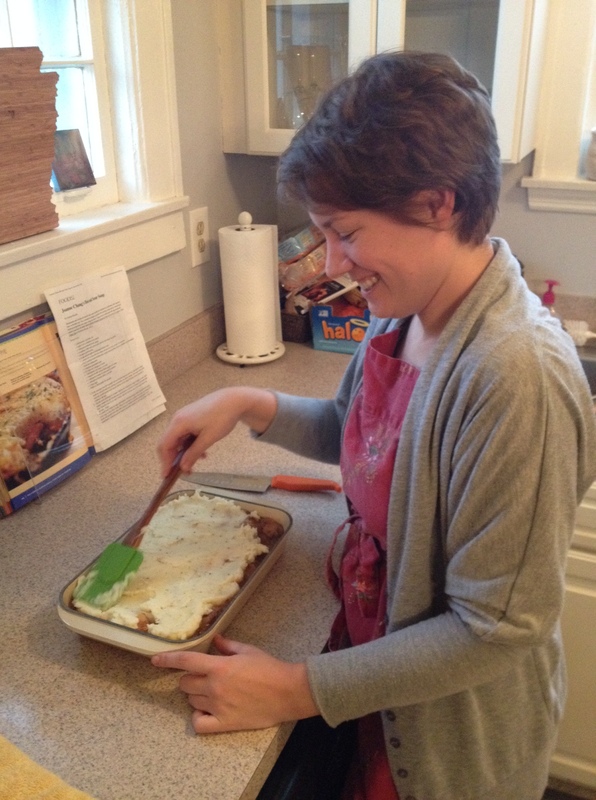 You can use a lasagna pan or something similar. 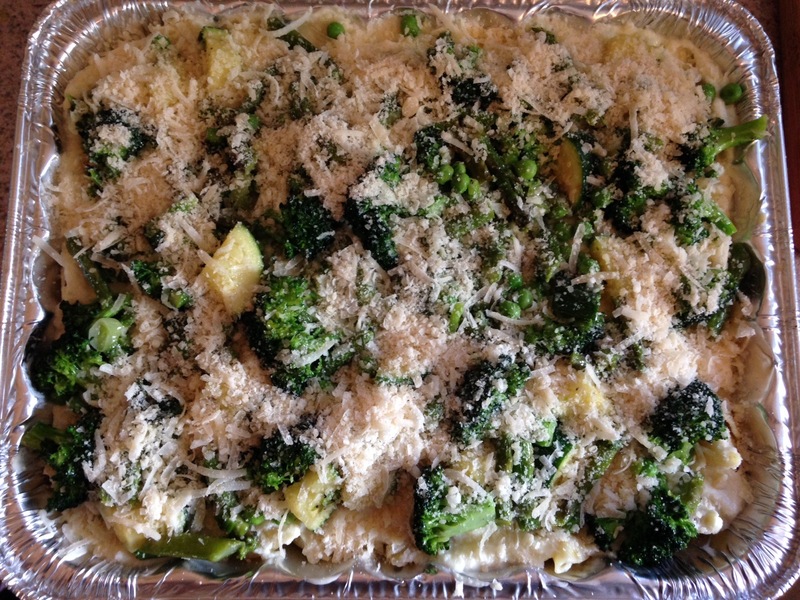 When I need to deliver this dish, I like to use an Eco-Foil disposable 9x11x2 roaster/baker pan. It’s sturdy and comes with a domed lid for easy transport. 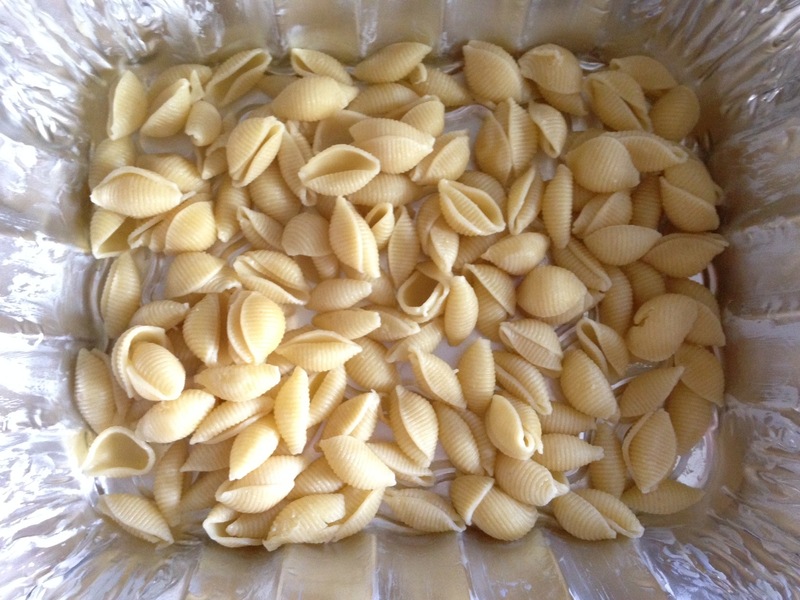 Bring a large pot of water to boil, and cook pasta until extremely al dente. In a large pan, melt the butter and 2 tablespoons olive oil over medium-low to medium heat. Add the asparagus to the pan and cook for five minutes. Sprinkle in a little salt. Add in the garlic and cook for another minute. Add the red pepper flakes, if using. 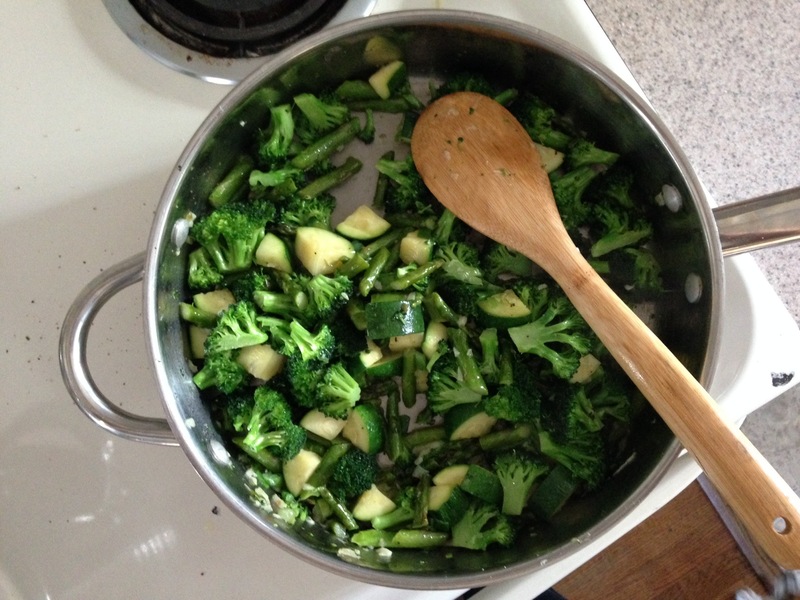 Next toss in the broccoli and cook for one minute; add the zucchini and cook for two more minutes; sprinkle in more salt and some pepper. Add the green onion and cook another minute. Turn off the heat and stir in the frozen peas. Set aside. 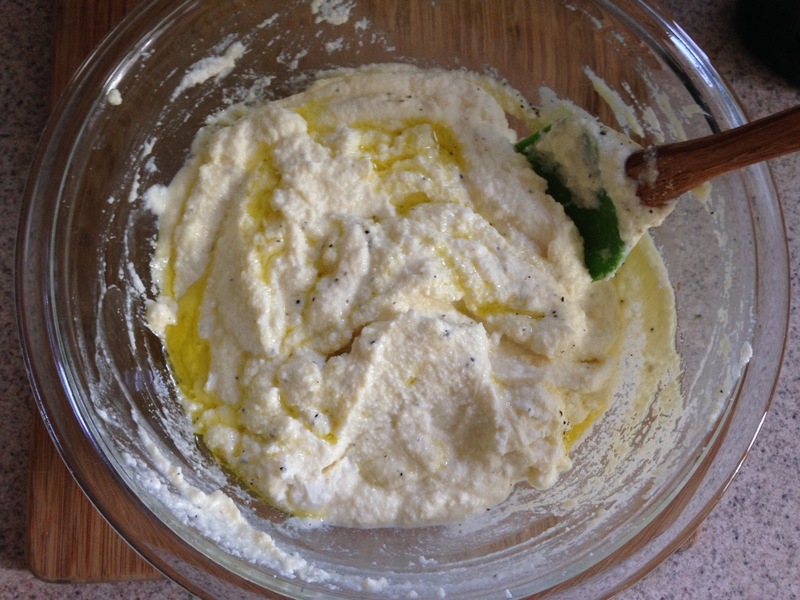 In a separate bowl, mix the ricotta, eggs, ½ teaspoon salt, ½ teaspoon pepper, and a glug (about a tablespoon) of olive oil until well combined. 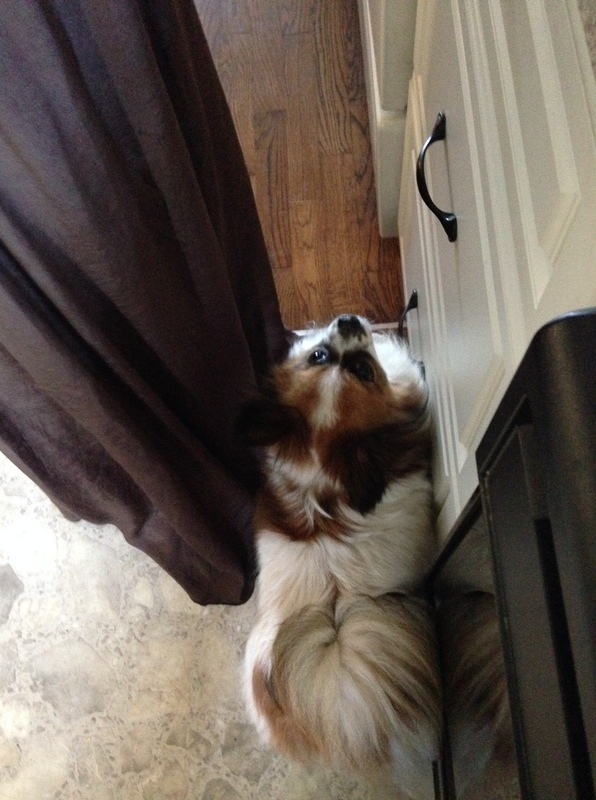 Try not to step on the little dog under your feet who is patiently hoping you will drop something. Assemble: Add half the pasta, then spread ½ cup* of the ricotta mixture over the surface (*NOT half of the entire mixture, just a ½ of a cup). 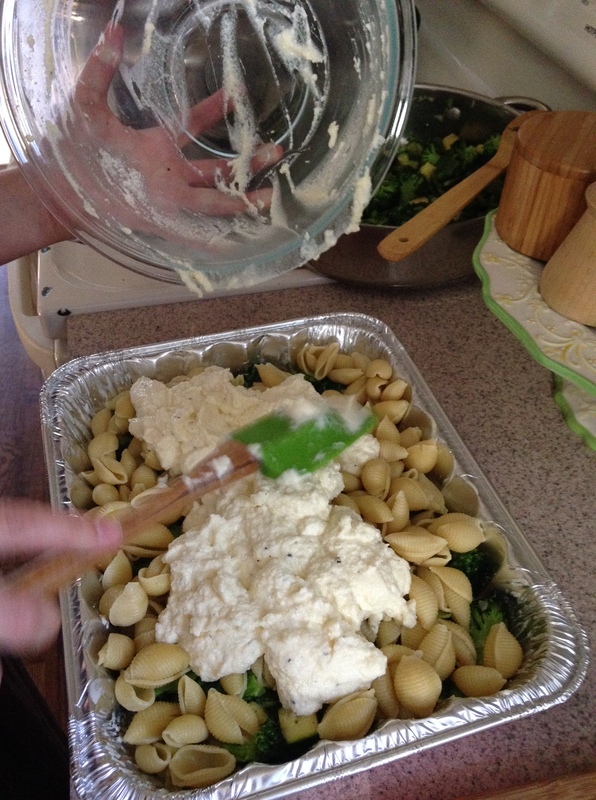 Repeat with the rest of the pasta, the rest of the ricotta, and another 1/3 of the Parmesan. 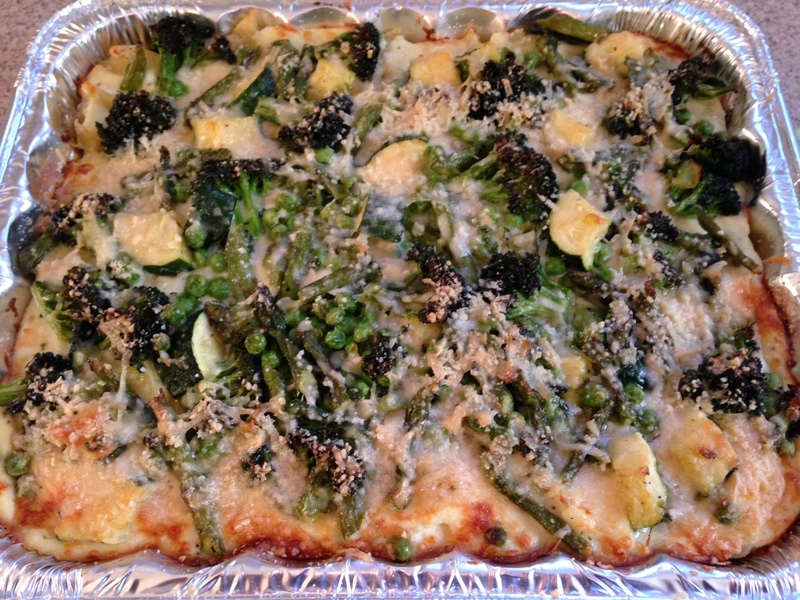 End with the remaining vegetables and top with the end of the Parm. Drizzle with a tablespoon of olive oil, and bake for 30 minutes or until golden and bubbly-hot. Serve with extra Parmesan and crusty bread. Categories: Friends, Recipes | Tags: green vegetables, pasta, spring, springtime baked shells, springy shells, the pioneer woman | Permalink. Spanglish is my second language. 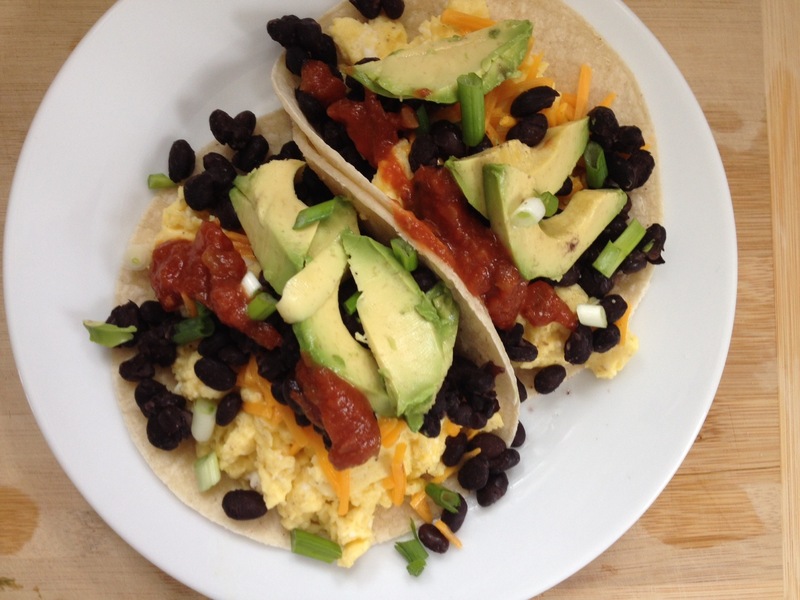 No matter what your native tongue might be, these breakfast tacos are sure to perk you up. Plus they’re packed with protein, so you can go-go-go until lunch. I like using whatever I have around for toppings. It’s kinda like a savory breakfast sundae. Kinda. Sorta. Whisk the eggs with the milk. Warm oil or butter in a nonstick skillet over medium heat. Pour in eggs, sprinkle with salt & pepper, and scramble. For light, fluffy eggs, cook over medium heat until firm and puffed up but just shy of done. 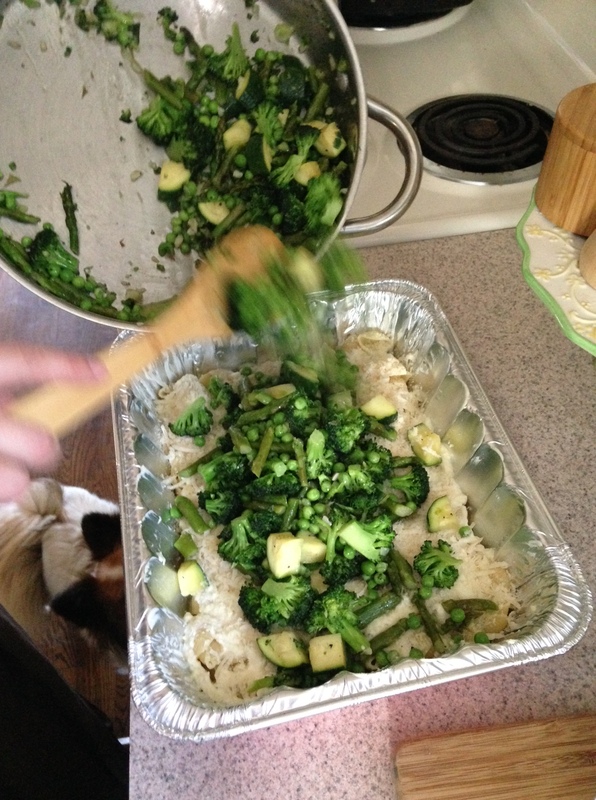 Stir constantly with a rubber spatula, scraping the bottom and sides of the pan as you go. Meanwhile, heat the black beans and tortillas in the microwave. Build your tacos. 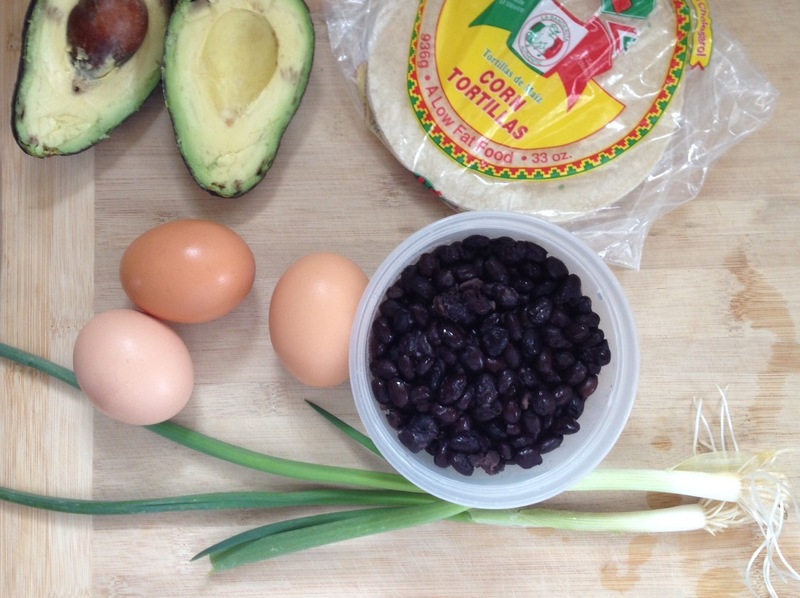 On each tortilla layer half the eggs, beans, cheese, and avocado. Top with green onion and/or cilantro. Serve with salsa and/or sour cream. 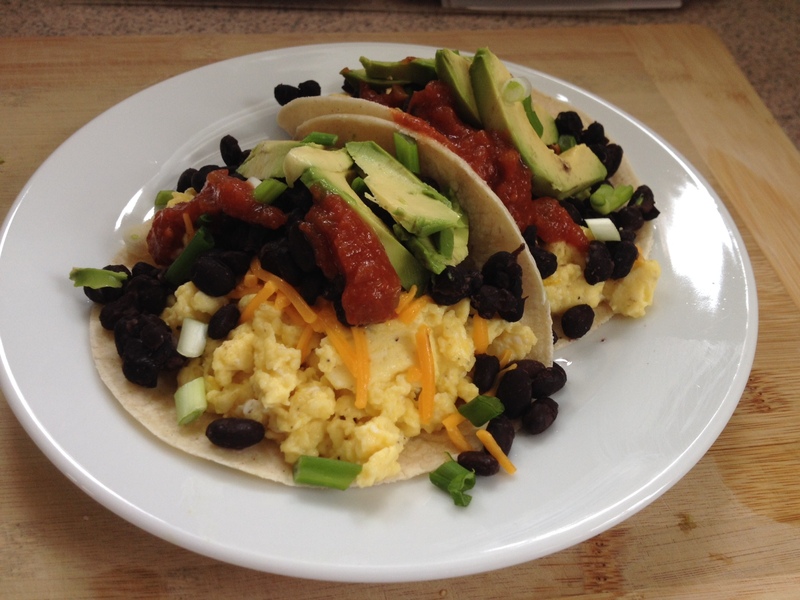 Categories: Recipes | Tags: breakfast, eggs, tacos | Permalink. 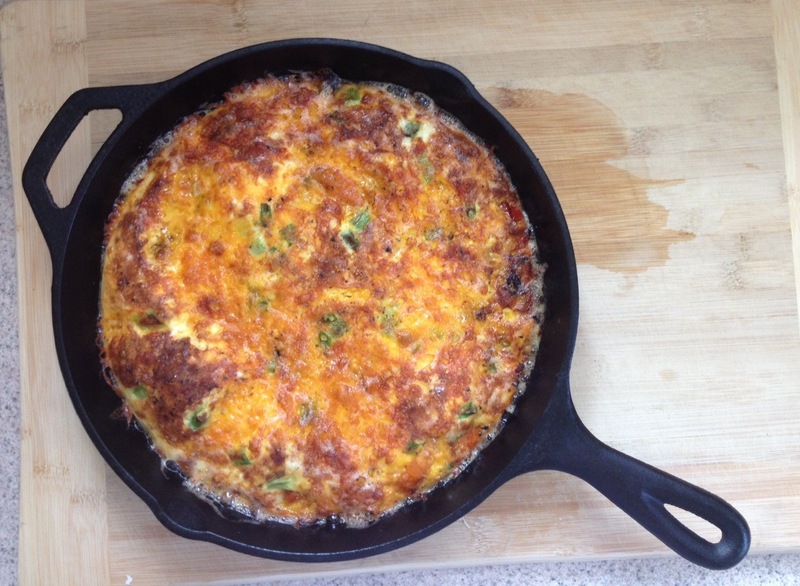 Have you ever made a frittata? 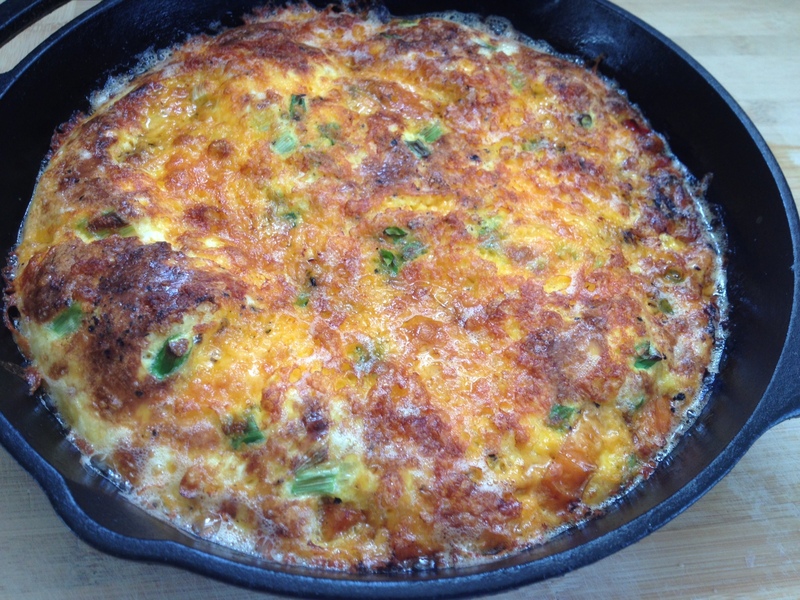 I have ordered frittata off many a brunch menu, but I’d never personally prepared the fluffy baked egg dish. This was my first attempt, but it won’t be my last. The best part is turning leftovers into something that feels fancy. Saturday night we had a fajita feast with all the fixings. 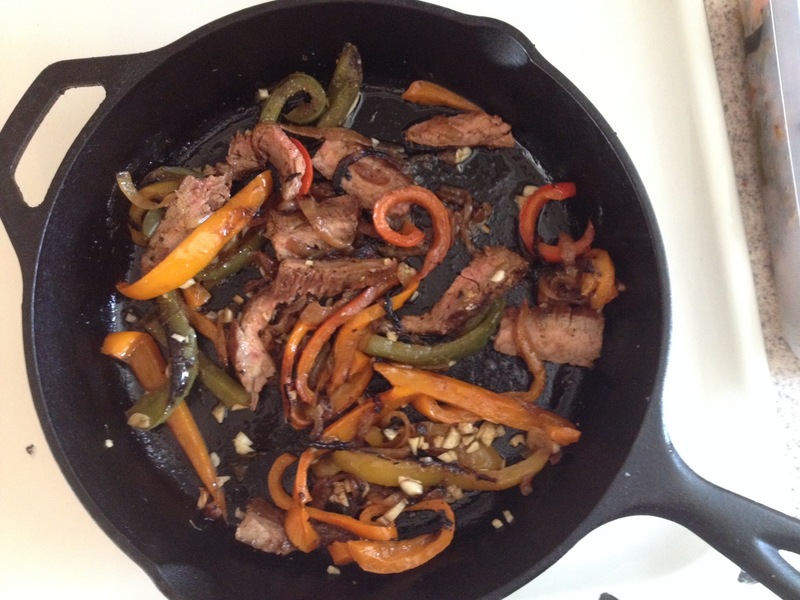 When the guac was gone, I had the opportunity to turn leftover peppers, onions, and steak into breakfast fare. Confession: I am terrible with leftovers. Just terrible. I rarely enjoy eating the same thing twice much less three times. I’m over it, says my persnickety palate. But it feels good to use the leftovers. It feels a lot better than throwing them in the trash. 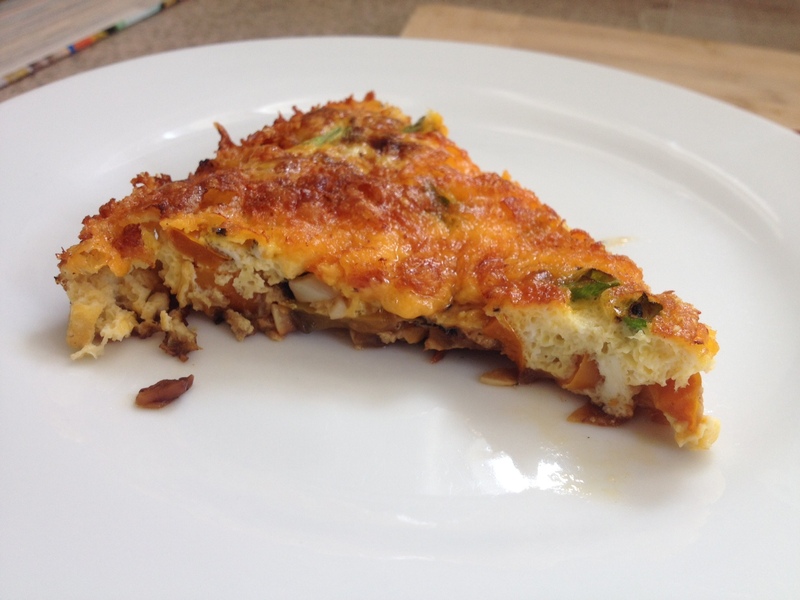 And turns out the leftovers taste much better with eggs and cheese. Preheat the oven to 400 degrees. 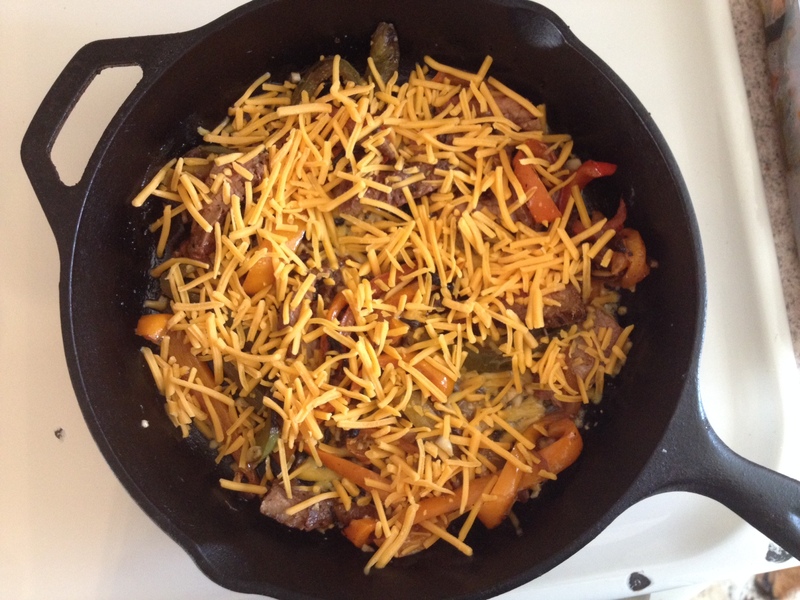 Saute the peppers, onions, steak, and garlic in a cast iron skillet on medium heat until warmed through. Add a little salt & pepper. Sprinkle with half the cheese. Whisk together eggs, milk, salt, and pepper. Pour into skillet, covering ingredients completely. Toss in green onion. Cook on stove top a couple minutes until the eggs begin to set around the edge of the pan. Place the pan in the oven and bake 10 minutes. 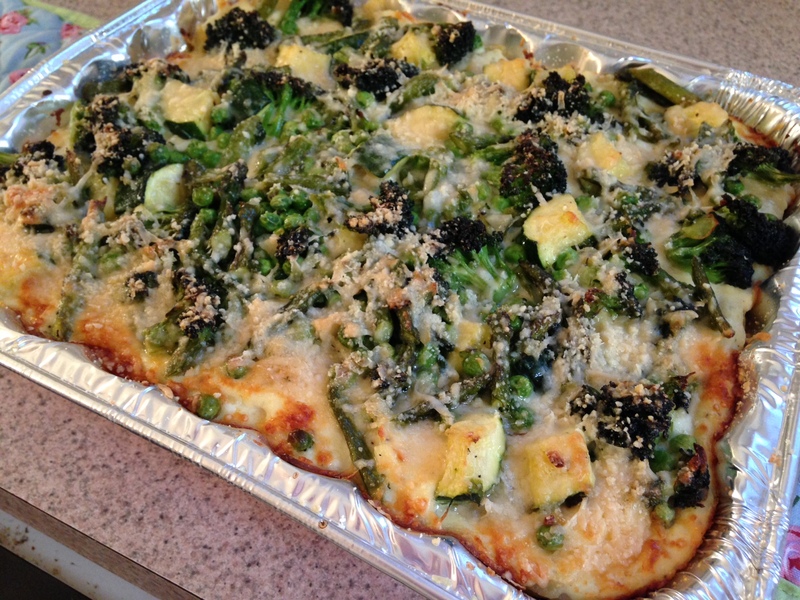 Remove pan, crank up the oven to broil, and sprinkle remaining cheese on top. Broil 2 to 3 minutes or until cheese is golden, top is crispy, and eggs are puffed. Let rest 5 minutes before slicing into wedges. Serve as is or with a simple green salad. 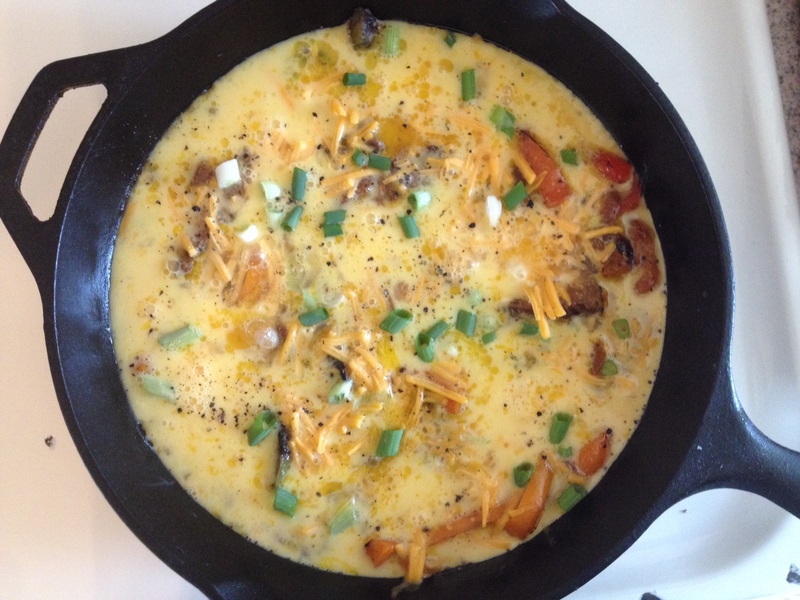 Categories: Recipes | Tags: cast iron skillet, eggs, frittata | Permalink. St. Paddy’s Day may be a few days behind us, but there’s still a windy chill in the air. While today is the first day of spring, you can still say an official farewell to winter with some hearty beef stew and/or shepherd’s pie. If you know any men wearing flannel shirts and sporting thick beards, I advise you to invite them over. They will love you and eat up all the hearty food on your table. Heat the olive oil and butter in Dutch oven over meduim-high heat. Brown the beef on all sides, about 5 minutes. Remove meat from the pot and set aside. Place chopped onion in pot and stir until soft, about 5 minutes. Add the garlic and cook for another minute. Stir in beer, beef broth, Worcestershire sauce, tomato paste, paprika, sugar, salt, and pepper. Return beef to pot, cover and simmer for 1½ to 2 hours. Add potatoes and carrots. Cover and cook another 30 minutes. Taste and adjust seasonings as needed. Serve in deep bowls. Sprinkle with minced parsley. Now, that was good. But shepherd’s pie is even better. Bring a large pot of water to a simmer. Peel and cut the potatoes into same-sized pieces, and add them to the water. Bring to a boil and cook until fork tender, about 20 to 30 minutes. Drain the potatoes in a large colander; return them to the pot they cooked in, and put the pot on the stove. Mash the potatoes over low heat, allowing all the steam to escape. Turn off the stove and add butter, milk, salt, and pepper. Mash to desired consistency and taste for seasoning. 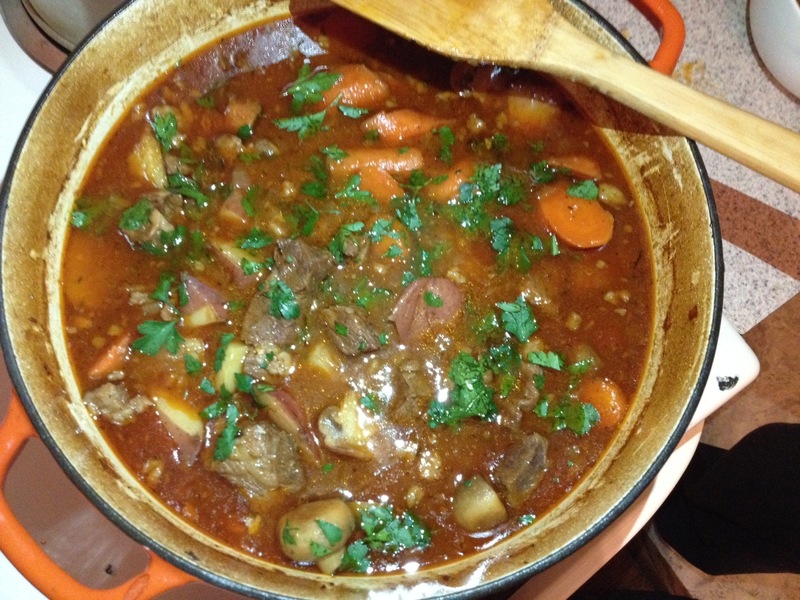 Place leftover stew in a pan. Cover potatoes with grated cheese. 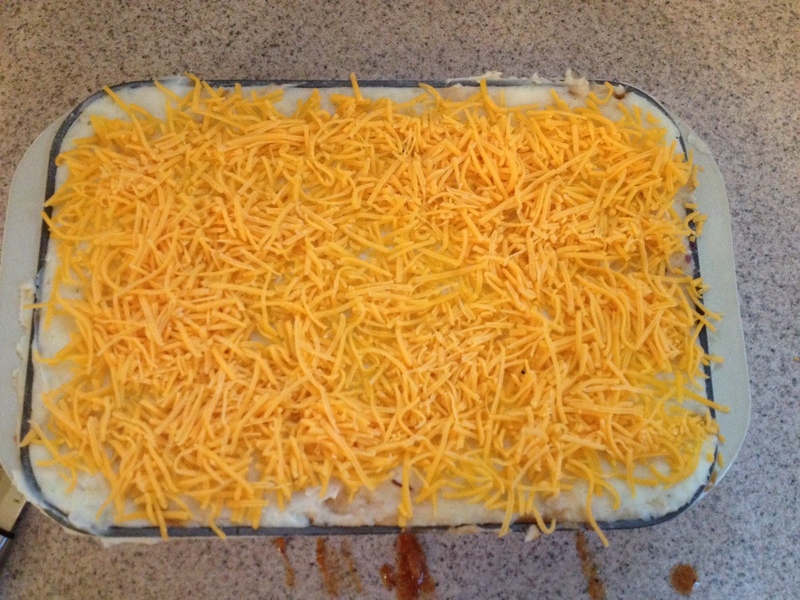 Bake until the cheese is warm and brown. 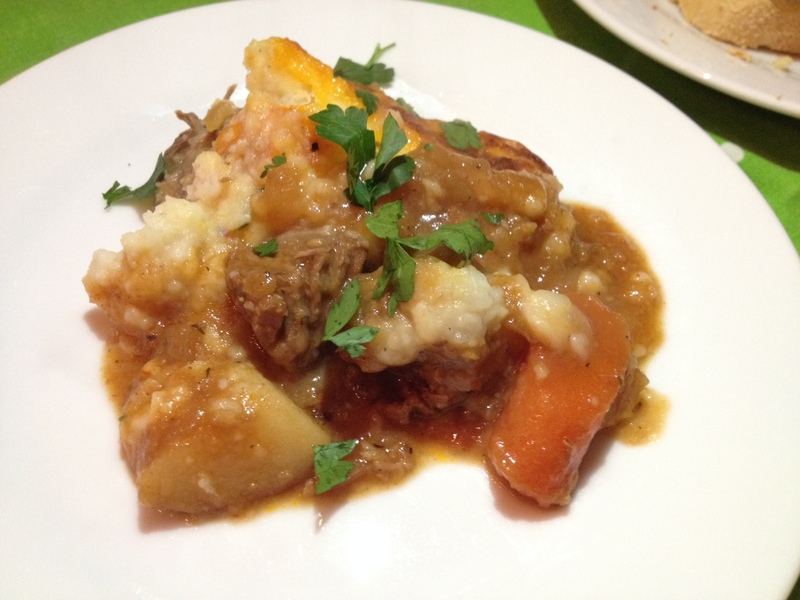 Categories: Recipes, Uncategorized | Tags: beef stew, shepherd's pie, the pioneer woman | Permalink. Preheat the oven to 325. 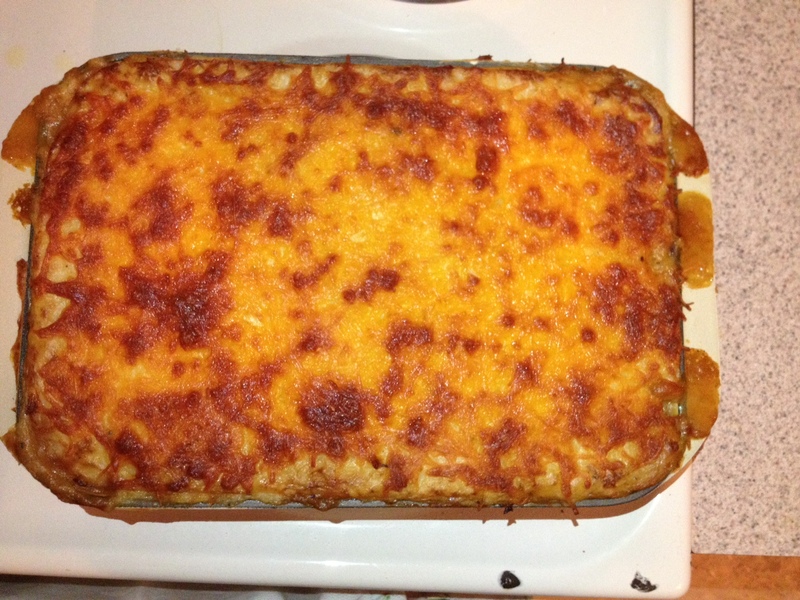 Grease a 13×9-inch baking pan. In heavy sauce pan, combine butter, sugar, and water. 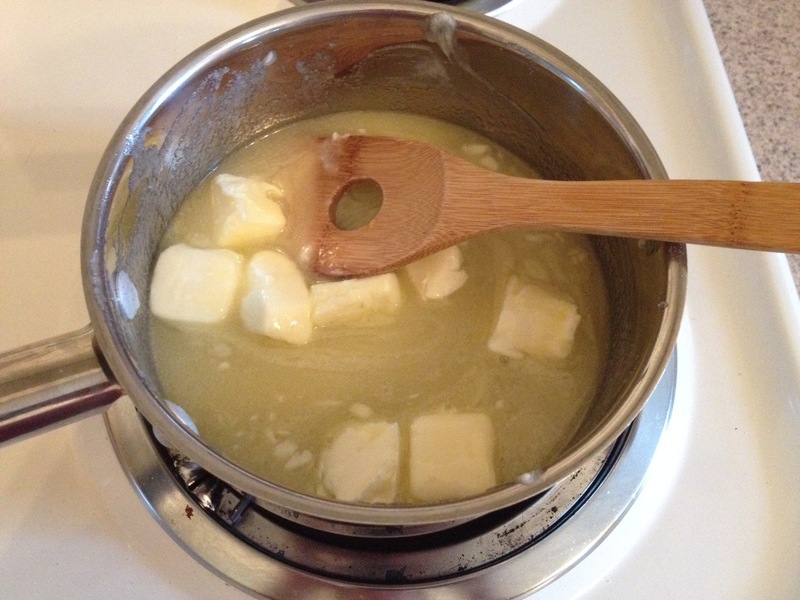 Bring to a boil, stirring until the butter is melted and sugar is dissolved. 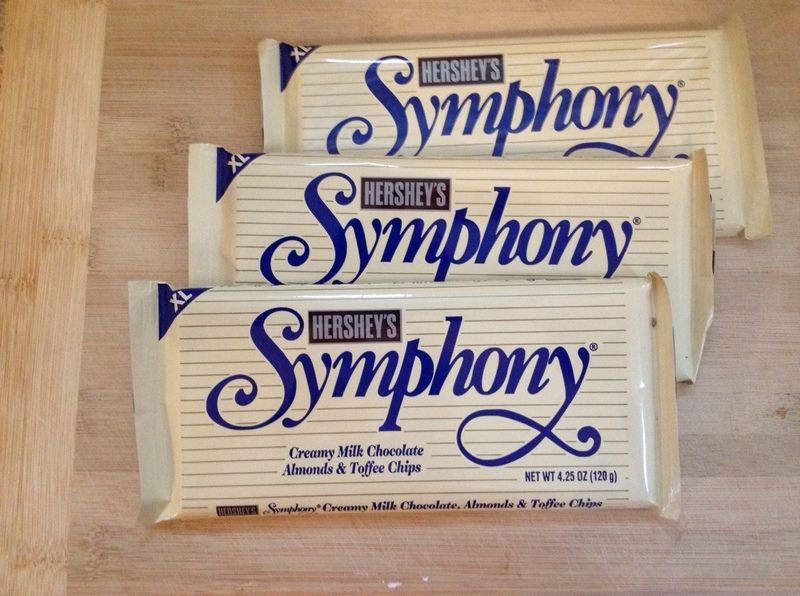 Remove from heat and stir in 2 cups of the chocolate chips until melted. Cool a bit, then add vanilla. 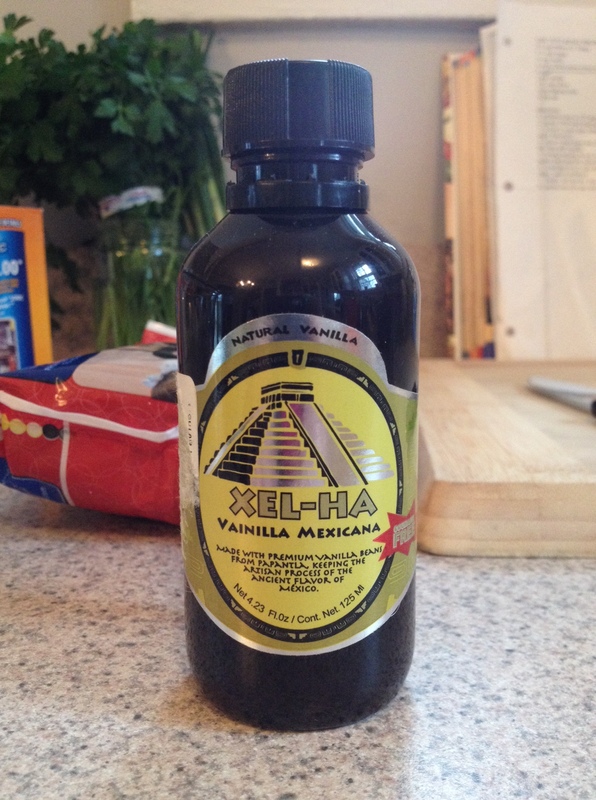 I used the really good vanilla I got in Mexico. 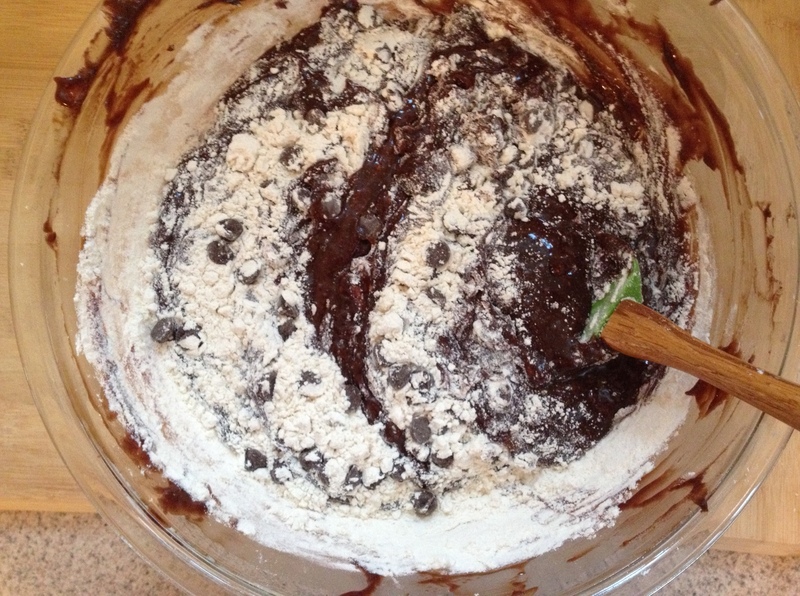 In large mixing bowl, whisk eggs, then gradually add the chocolate mix, stirring with a wooden spoon until entirely mixed. In another bowl, mix flour, baking soda, and salt. 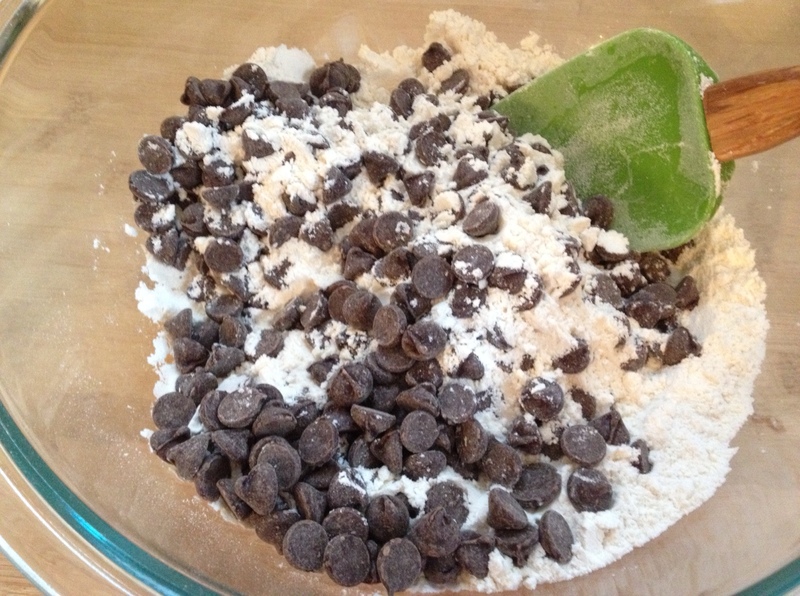 Add the remaining chocolate chips. Finally, stir the dry ingredients into the wet. Mix well. 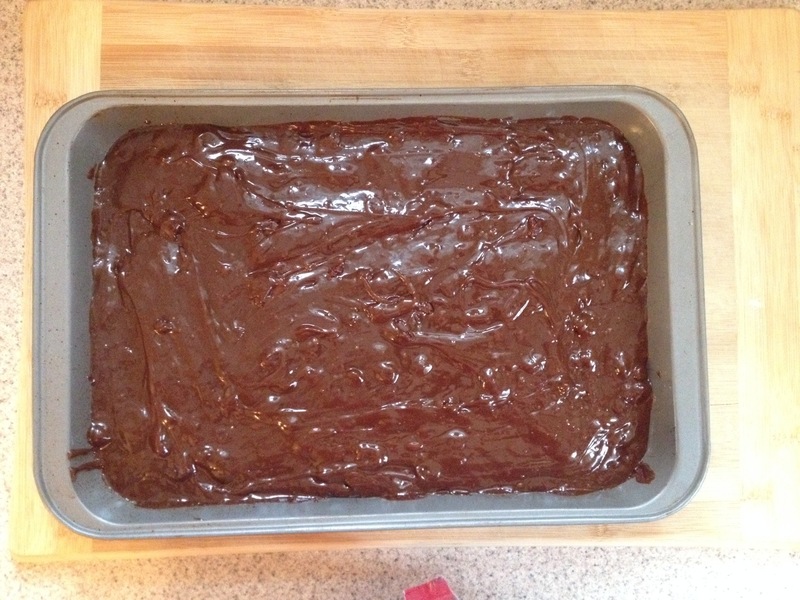 Spread half the brownie batter into the pan. 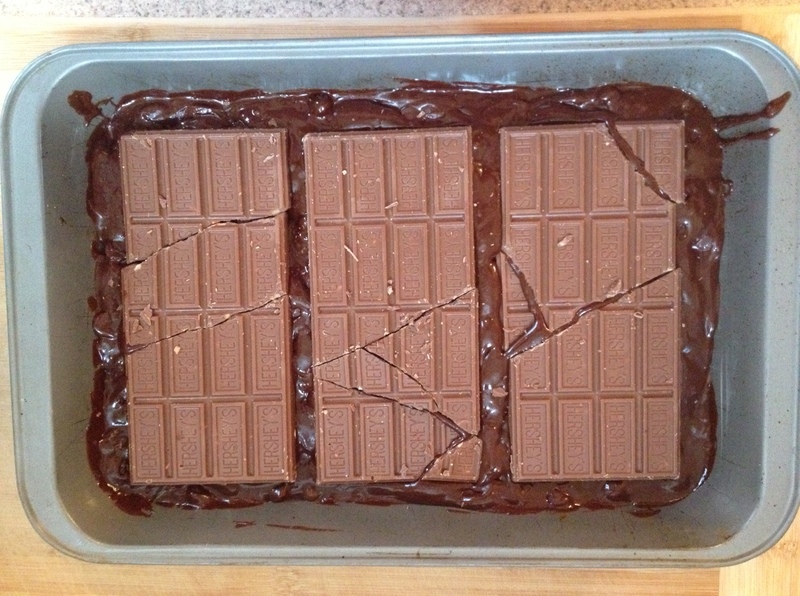 Place the Symphony Bars side-by-side across the batter, and spread the other half of the batter on top. Bake for 35 to 40 minutes until cooked through. Do not over bake! 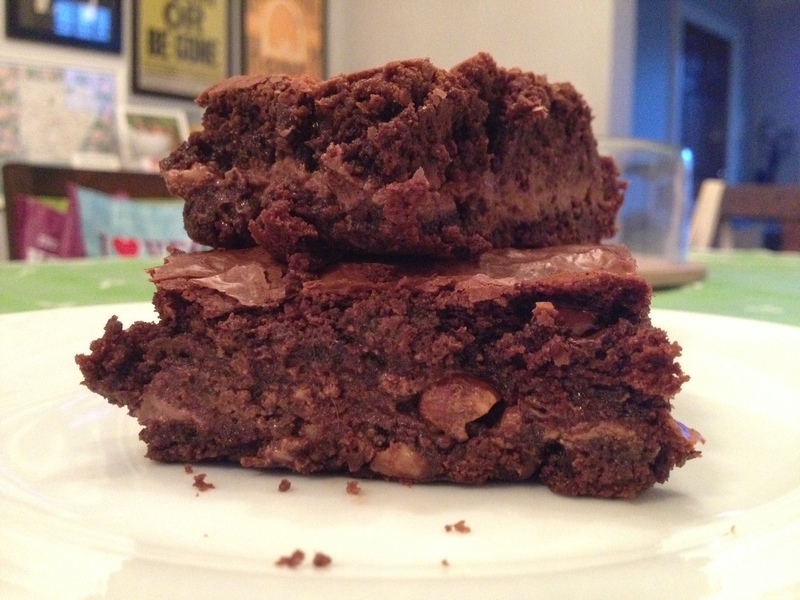 Categories: Recipes, Uncategorized | Tags: brownies, kenny loggins, symphony brownies | Permalink. The week between Christmas and New Year’s is one of my favorites. There seems to be extra time to go to the movies and return stuff that didn’t fit and read the new cookbook you bought yourself for Christmas. 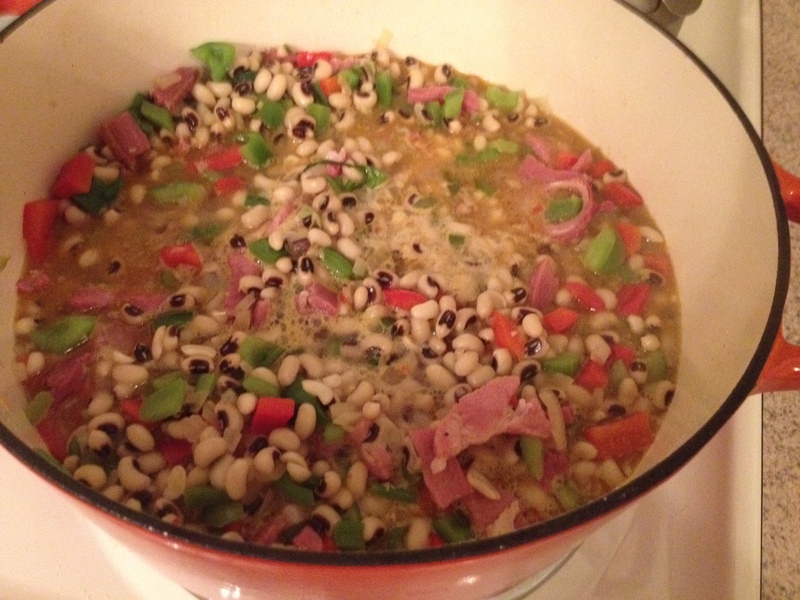 Ree begins her book of holiday meals with New Year’s Day Hoppin’ John. This is a tradition I’ve never participated in before. But after my first encounter, I see many a black-eyed pea in my future January 1sts (as well as other chilly days ahead). Hoppin’ John over rice is a filling, simple, flavorful meal. Add another dimension by serving it alongside kale, with cornbread, or over grits instead of rice like my friend Caroline does. Soak black-eyed peas in cool water for 6 hours or more. Rinse and drain. In a Dutch oven over medium-high heat, melt the butter. Add the onion, bell peppers, jalapeño, garlic, and celery. Cook for about 5 minutes. Stir in rinsed beans, then add the chicken stock, salt & pepper, and cayenne pepper. It’s a lot of beans to season, but go easy on the salt since the country ham you’re about to add is very salty. Start with a teaspoon and see how you feel. 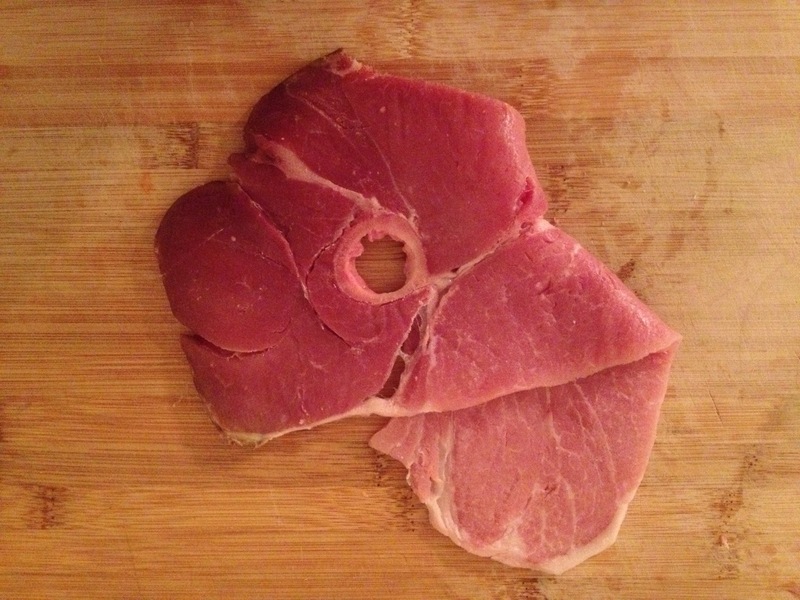 Toss in the diced country ham (bone and all) and bring to a boil. Reduce the heat, cover, and simmer for 1 hour. Stir periodically, and check the liquid level after about 45 minutes. I like a thick stew consistency so some liquid remains to spoon over the rice. If the mixture is too soupy, remove the lid and cook for another 15 minutes or so. If it’s too thick, add more stock. Taste for seasonings. Remove bone. Serve over rice. 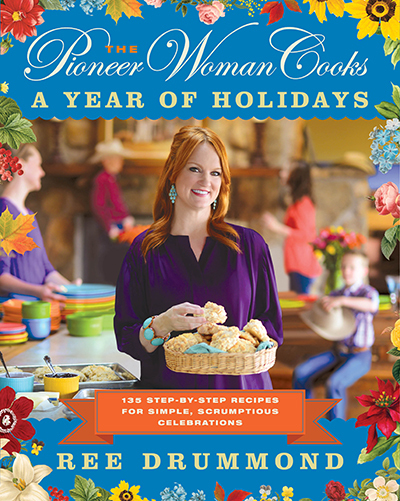 Categories: Cookbooks, Recipes | Tags: hoppin' john, new year's day, the pioneer woman | Permalink.